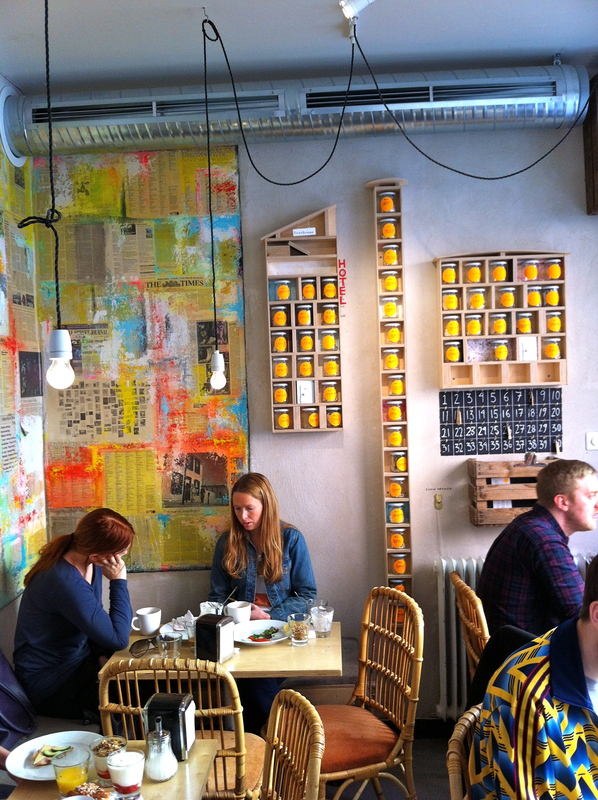 It has been a while since I last visited a new cool café in Stockholm. It has nothing to do with a potential shortage of such cafés. No, I am afraid I am the only one to blame. I have plenty of good boring excuses on which I will not elaborate here. When I woke up this morning and I saw the beautiful sun in the sky of Stockholm, I was determined to go out and find a new cool place despite a late night Solna (another story that I shall not discuss here!). After a mandatory stop to buy some music magazines, I headed for a walk in SoFo (the area in Södermalm south of Folkungagatan). Of course, I had been there before but I had never realized how many cool places one could find in that area. I was getting really worried that I would not be able to make a decision on where to stop this morning. 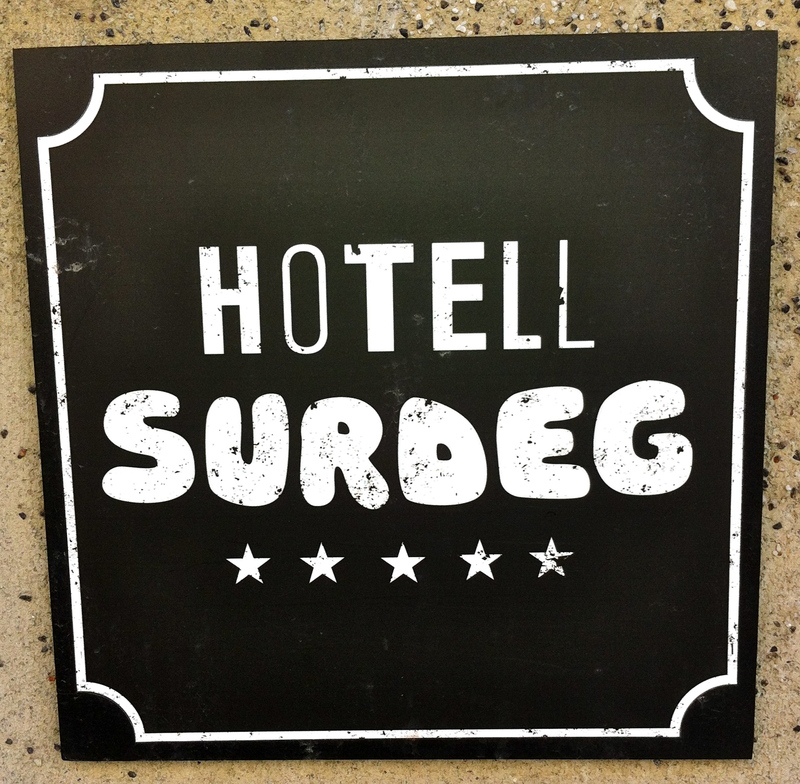 As I was walking back towards an area with which I was more familiar (without really paying attention to where I was going), I came face to face with this place which describes so well what Södermalm is: Urban Deli, aka Hotell Surdeg! 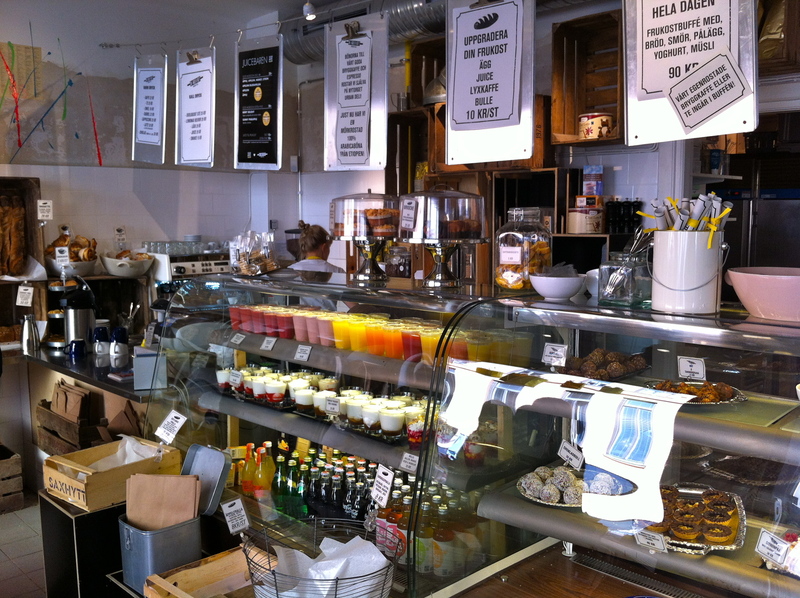 At first, it is easy to mistake Urban Deli for any other café in Södermalm. But if you pay attention, you will quickly realize that this is not your usual café. 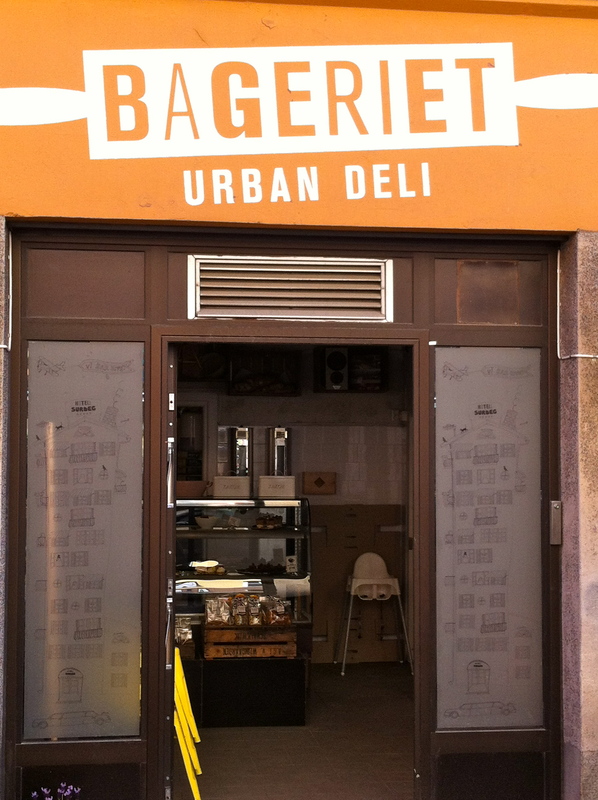 Indeed, this is also home of Stockholm’s first sourdough hotel. According to The Local, this is also the world’s first sourdough hotel. If you are like me and the concept of a hotel for your sourdough is not that obvious, you can read more here. Now, if you have read previous posts on this blog, you will have noticed that I really like Södermalm. That being said, not everybody in Stockholm share my enthusiasm for the island. I have heard many people using the word “hipster” in a pejorative way to describe people from Södermalm. Honestly, I am not quite sure I know what a hipster is. I like Södermalm. Apparently I wear hipster glasses. I like music that other hipsters like too. But I am also not skinny enough to be a hipster 😉 Frankly, that doesn’t really matter. I am not a big fan of labels anyway. Apart from the “hotel” section of Urban Deli, one can find a nice selection of coffees, juices, yoghurt, salads and, of course, sandwiches. 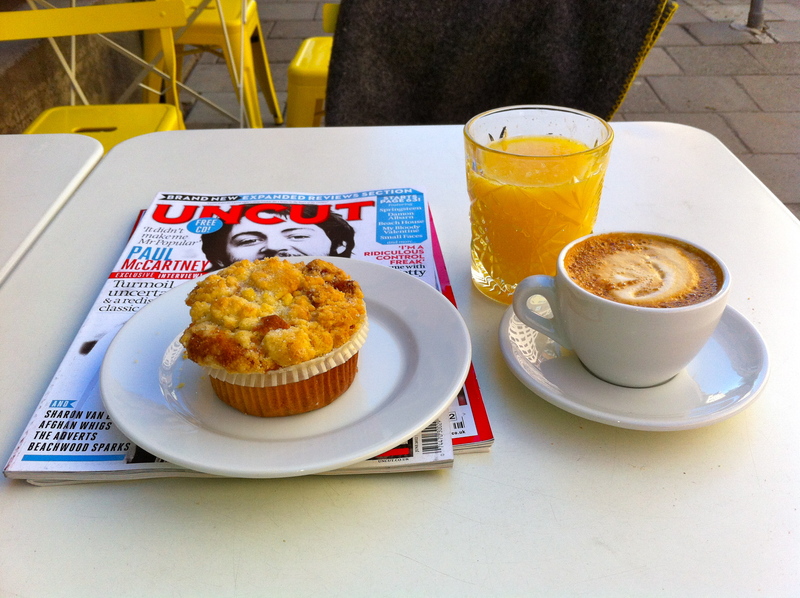 This morning I was not planning to eat anything but as I was waiting for my cappuccino, I decided to have a strawberry and nuts muffin. All tables inside were occupied at this time of the day but it was chilly enough outside in the shade that there were a few free tables on the sidewalk. Oh, it looks so lovely. Everything, coffe, cakes, atmosphere. I need a city soon…. What a neat place! Love the wall decor. Maybe I am a wannabe hipster too! 😉 That is one of my favorite ways to discover stuff, just walk and see what happens. 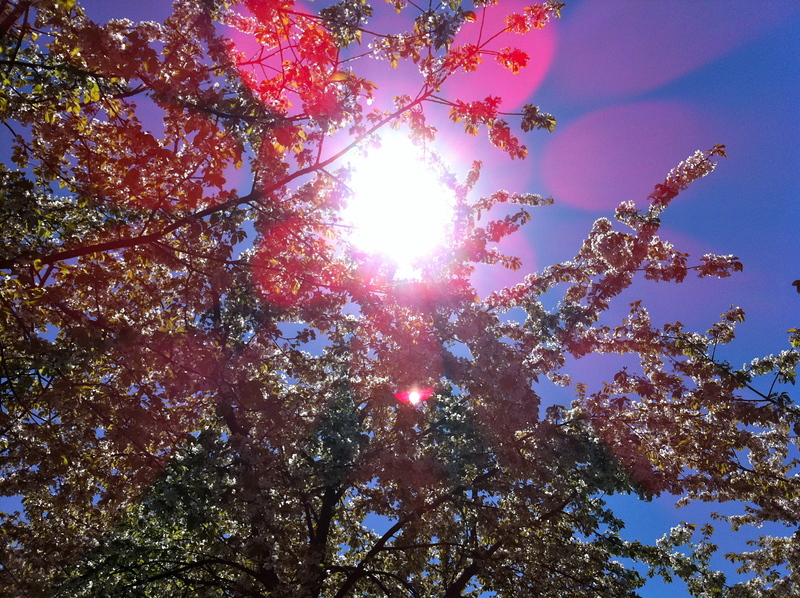 And, that first image with the sun through the trees is super cool! Thanks. I also like the first image. Not bad for a photo taken with a phone!